I hosted a party on Saturday to showcase some of my favorite recipes and to show people that you can have treats that tastes sinful, but are still made with high quality ingredients. I wanted to do a recipe demo, utilizing the random foods that I had on hand. I was hoping that this would inspire people to come up with their own fun recipes by just taking look around their own kitchen and seeing what’s local and fresh! 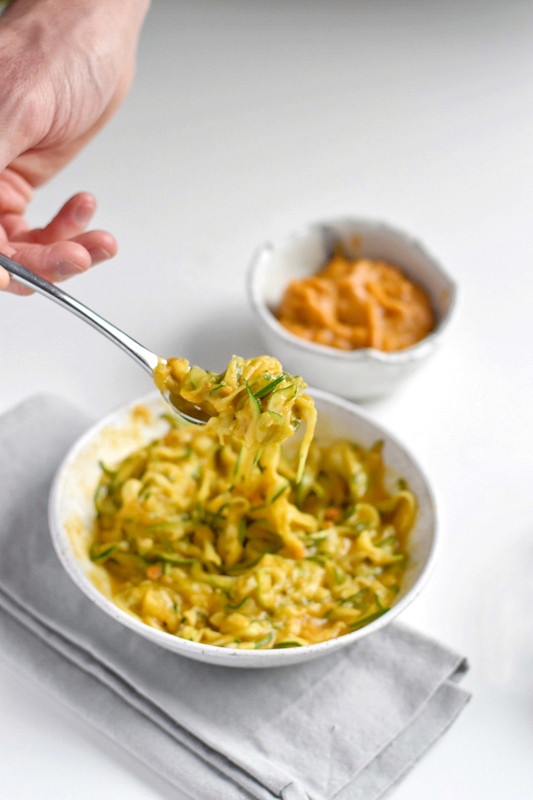 That’s when I created this recipe for Sweet Potato Zoodles. We had just purchased a bunch of fresh zucchini, squash, and sweet potatoes. 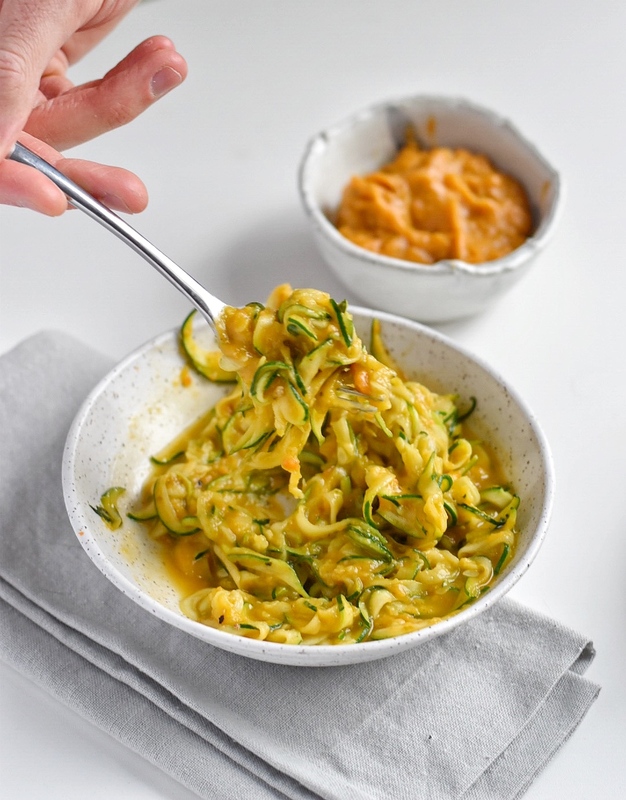 So, I decided to bust out my spiralizer and make some raw noodles and give a sweet twist to your typical spaghetti and tomato sauce. This was a huge hit and it was SO simple to make. There are also so many additions that could be made to make this more fun and change up the flavors! I love how fresh and clean this tastes and makes you feel! 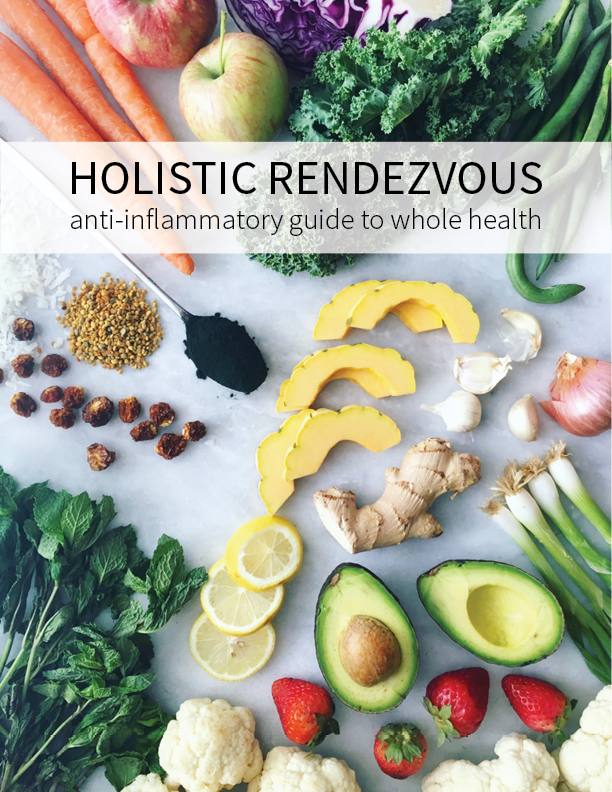 One of the things that I really love about this is that it is AIP friendly and loaded with anti-inflammatory ingredients. You can amp it up even more by adding specific spices, such as turmeric, herbs de provence, etc! 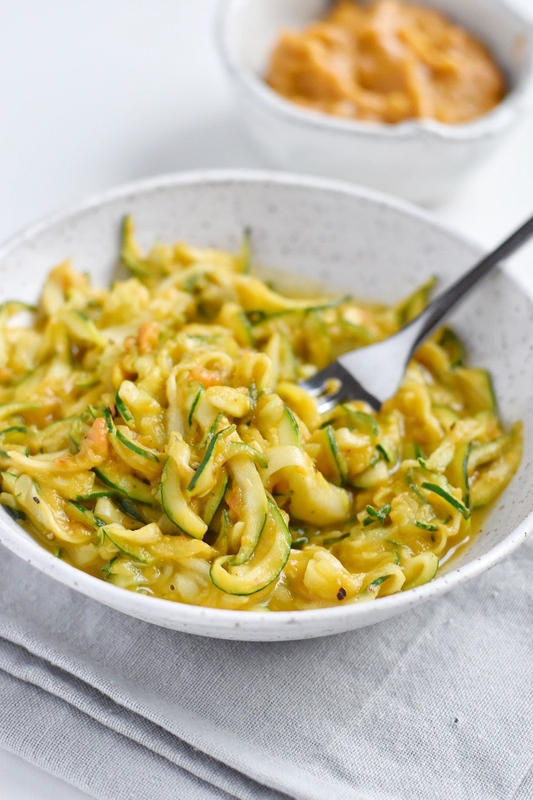 And, if you don’t have a spiralizer yet, you are missing out! I love this one and highly recommend it. I like spiralizing zoodles, sweet potato noodles, or raw vegetables for salad. Puree all ingredients in a food processor. Start with ½ cup water and add slowly to get desired consistency. This would also be great with a red pepper pureed in, a little cayenne pepper, tomatoes…there is really so much that you can do with this recipe. Add some chunks of cashews to give it a little texture too! I mixed this in with some zoodles (zucchini noodles-spiralizers are awesome by the way!) and topped it with crack himalayan salt and fresh black pepper. 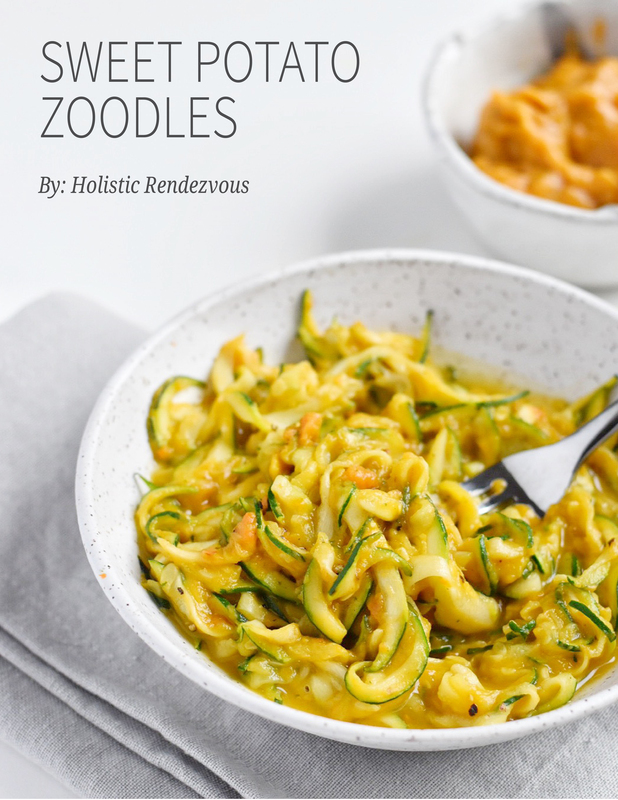 Let me know if you make these Sweet Potato Zoodles by commenting below or posting on social media with the hashtag #holisticrendezvous and by tagging @holisticrendezvous !